I have to be honest and share with everyone that I've been too lazy to juice my vegetables lately. Sometimes I think of the work involved and choose to grab something quicker instead. But then I got to thinking about how much juicing benefited my skin, hair and energy levels. That's when I decided to substitute juicing for something just as nutritious and good for me. So I reached deep in my cabinet and retrieved the personal blender I've had for years. This thing is so convenient, it's crazy. Just add the ingredients and minutes later, you're enjoying your smoothie. One benefit of smoothies is that I get the benefits of the entire fruit (or vegetable) which means lots of fiber. Smoothies also give me the opportunity to save time by using frozen substitutes if I don't have any fresh ingredients on hand. Here's where the good stuff happens. Because I'm blending everything in together, I take the opportunity to sneak in some super foods such as powdered greens, silica, msm powder, liquid vitamins, flaxseed oil, etc. There's not end to how far we can go. 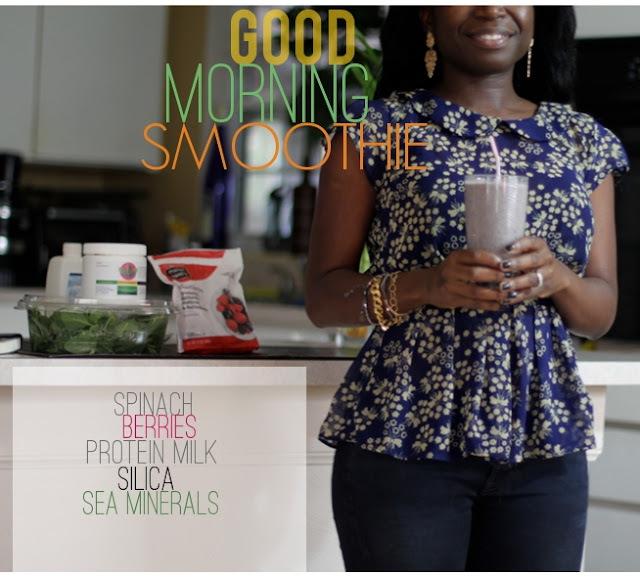 Clean up is a snap and the smoothie satisfies like a meal. Best of all, I know that I've done something wonderful for myself first thing in the morning. This doesn't mean that I've given up juicing but it's nice to have an alternative that still supports my overall health and beauty goals. Are any of you into drinking green smoothies? Yes! I love them. Since I've started drinking them I have more energy. I always add chia seeds and now I want to buy more superfoods. I am a major NutriBullet fan, and like you I love to add a few "nutritional boosts" to my juices. Could you show us the link where you get your silica? How much do you use? Thanks! i used to juice daily but lately i've been blending lamb's lettuce (omega-3, beta-carotene, antioxidants, vitamin C, vitamin E, iron, zinc, folic acid, copper, magnesium, phosphorous) with whey protein powder, a banana & orange juice...in fact, i could go for one right now! 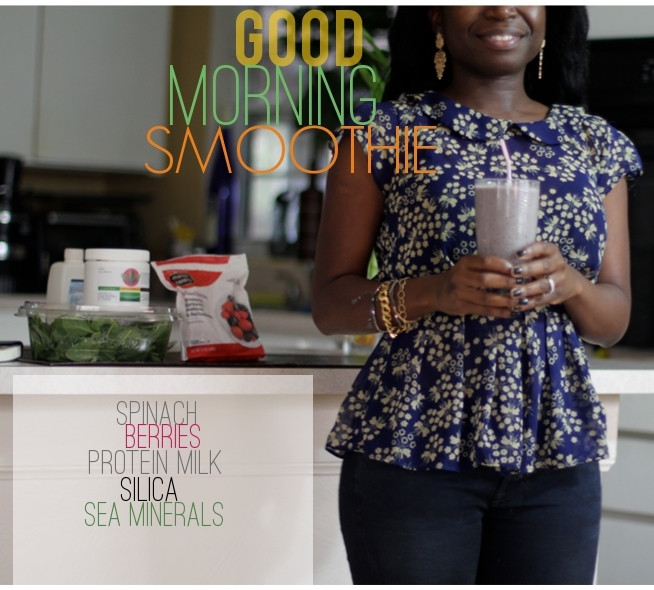 I just did a blog post on green smoothies a few days ago! I love them as a healthy meal or snack option...especially as it continues to warm up! I have a green smoothie everyday. Love it, I use it as a meal replacement and it works wonders for the skin, body and overall health.